Today I have a trio of kid themed Valentine's Day cards to share that I made using We R Memory Keeper's darling "Love Struck" collection from last year and some super cute Silhouette diecuts designed by Kristen Magee (otherwise known as k.becca). 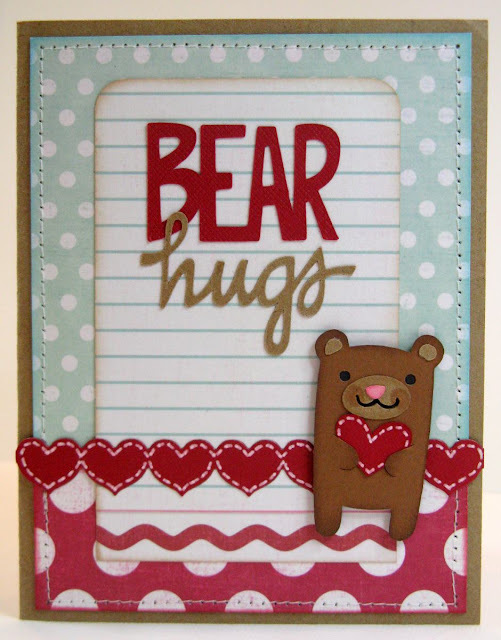 This first one uses her adorable bear with heart paired with her coordinating bear hugs phrase. 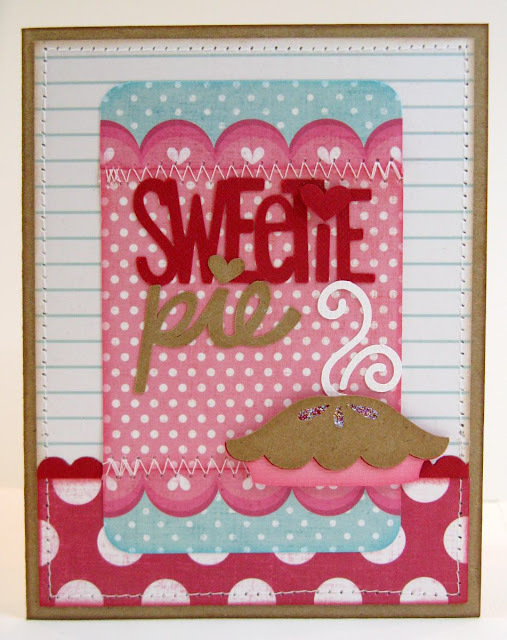 I then used Papertrey Ink's heart border die which I outlined with a white Signo Uniball gel pen. 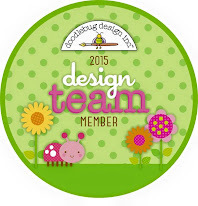 I love how it turned out to look like the bear was holding one of the hearts from the border. The second one uses her darling Bumblebee and matching Bee Mine phrase. I added a little sparkle to his wings with Stickles Glitter glue and a very light shade of copic markers to give him some rosy cheeks. 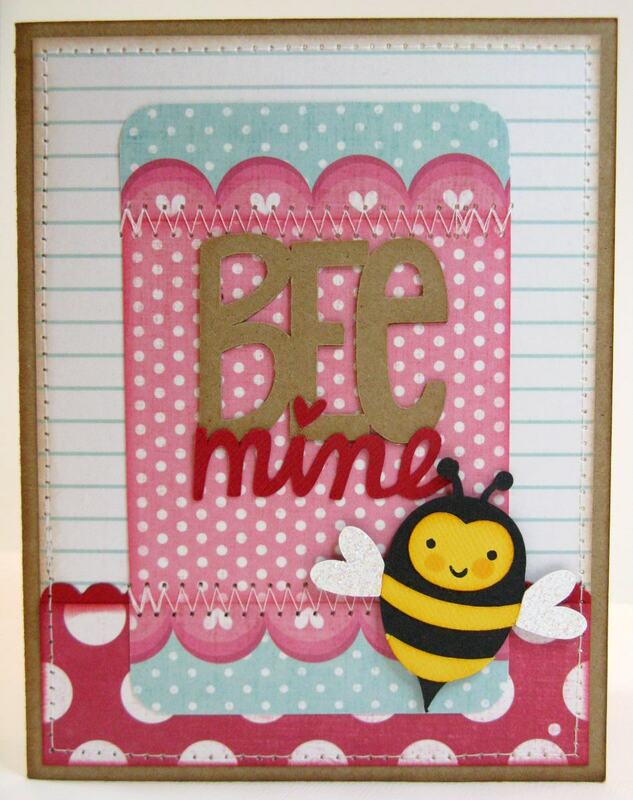 These are so adorable Mendi--I think my favorite is that cute little bee! !